Much of Zion you can visit safely self-guided, at your own pace and into really special, but busy places. 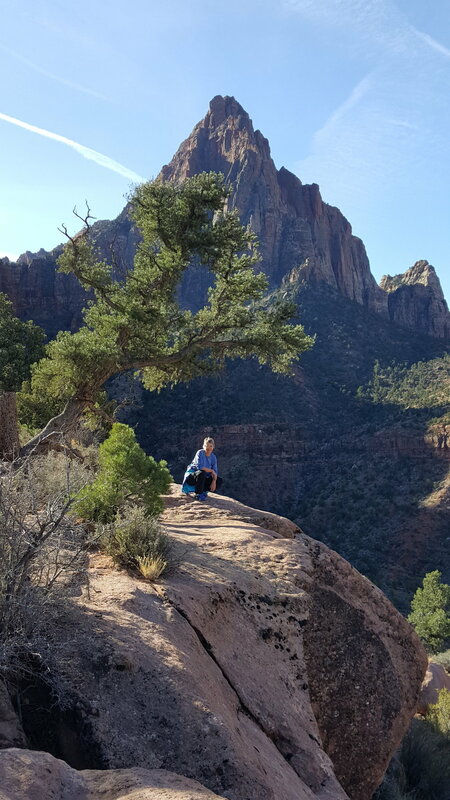 Our tours still visit some of Zion's special places but also go beyond the beaten path to areas surrounding Zion, which offer incredible scenic overlooks and varying perspectives that inspire and are photographically stunning. Every trip is customized and our gurus are incredibly patient, knowledgeable, creative, and agile; able to alter, enhance, and modify the day's itinerary to match your groups desires. What is a Scenic Tour? All hiking trips are private, i.e. you and your group only. We provide logistical guidance, interpretative information of human history, geography, geology and anecdotal folklore. We can coordinate locations with your travel plans. 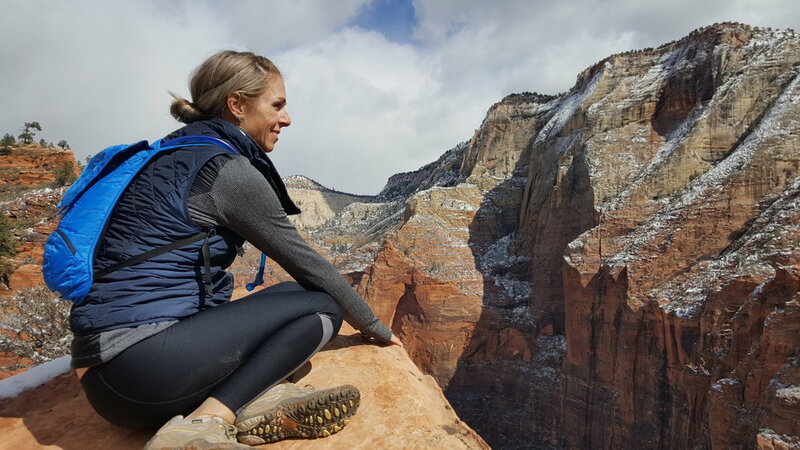 If you are headed toward Vegas, Bryce, or Grand Canyon on our trip day we can choose hikes that put you closer to your destination by the end of the day. Hike options could include one or multiple trails, depending upon group size, motivation and desired flow of the day. Hike options: Pa'Rus, Watchman, Canyon Overlook, Emerald Pools, Kayenta, Angels Landing, Weeping Rock, Hidden Canyon, Riverside Walk, and combinations of the above and other hidden gems outside of Zion. For Zion Narrows Tour, click here. What is a Adventure Hiking tour? Just a 2 hour drive from Springdale, and Zion National Park, Bryce is a menagerie landscape that seems unreal. More delicate in nature than Zion's looming and massive sandstone walls, Bryce's eroded limestone hoodoos make for spectacular photography. 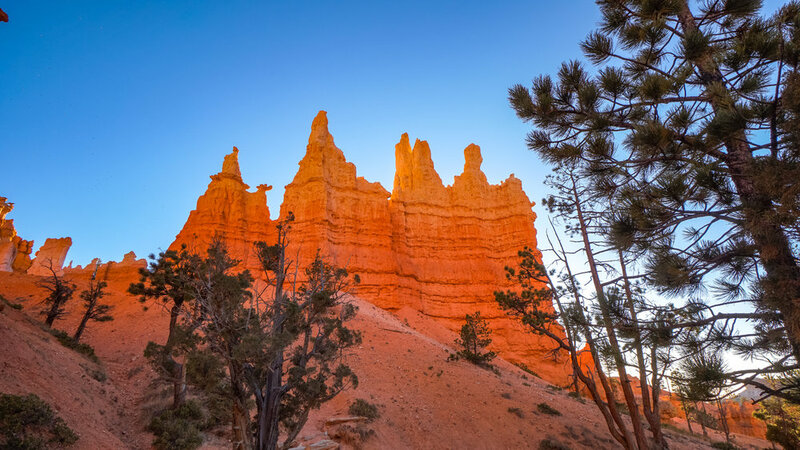 Nestled in the hoodoos and giant ponderosa pines are short and scenic hikes which are accessible to all levels of hikers. Full-Day Start times can vary, and your reservation guru will advise seasonally. Recommended start times 7am.